Description: Madame Minako. 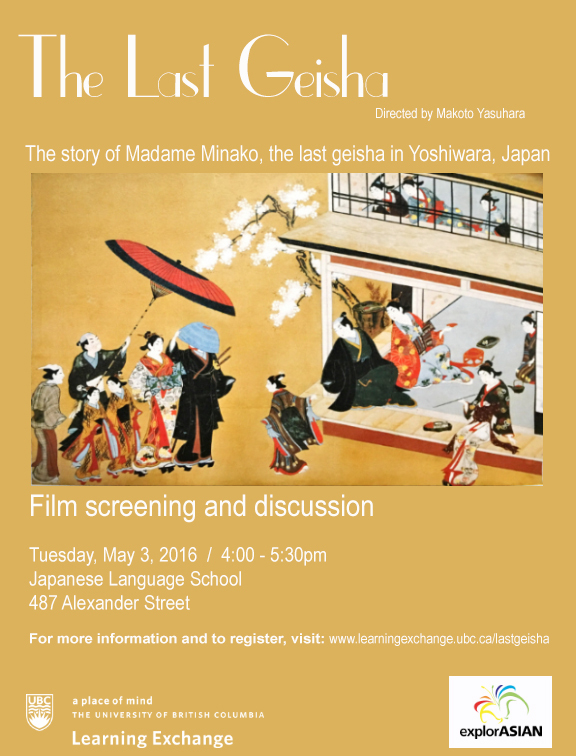 The story of the last geisha in Yoshiwara, Japan. Documentary film screening and discussion hosted by the UBC Learning Exchange. Location: Japanese Language School 487 Alexander St. 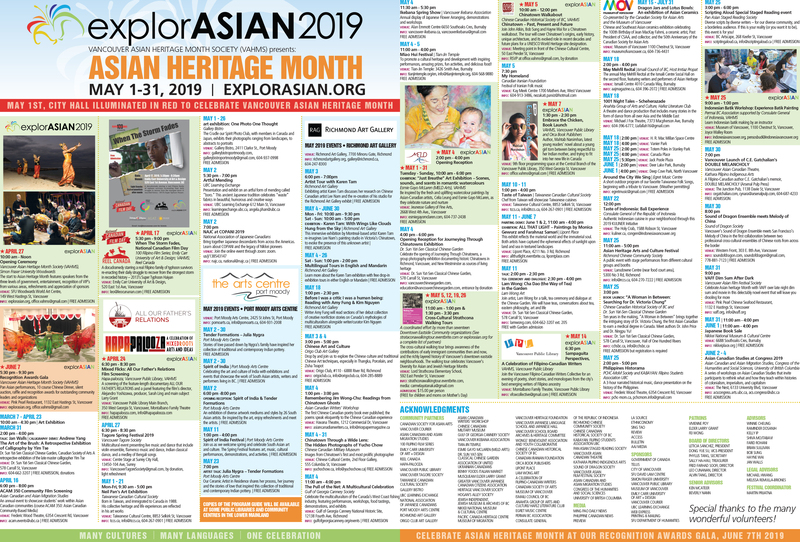 Tags: explorASIAN 2016, festival event, UBC Learning Exchange. Bookmark the permalink.